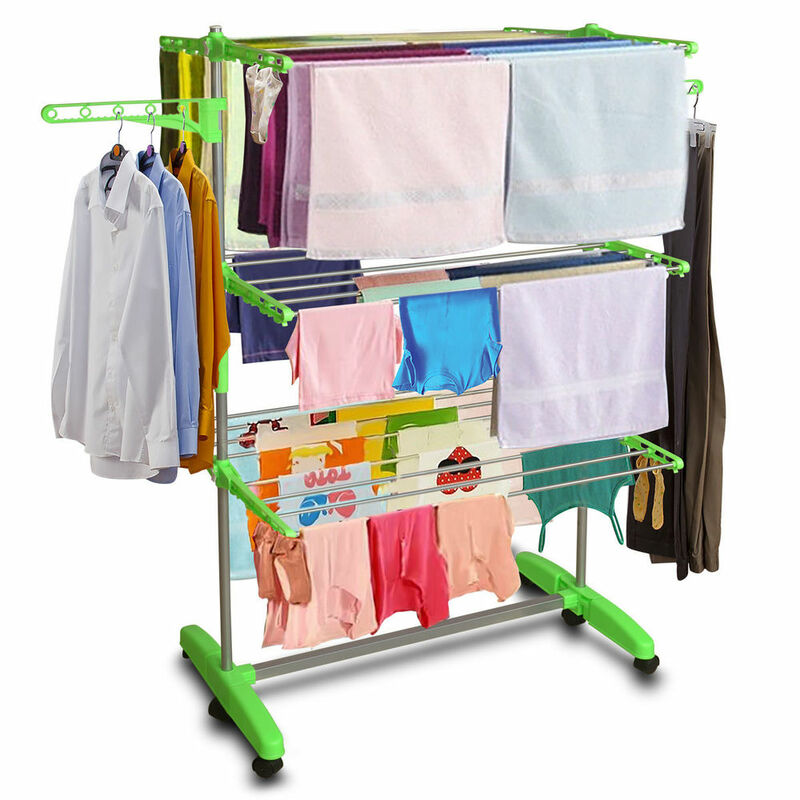 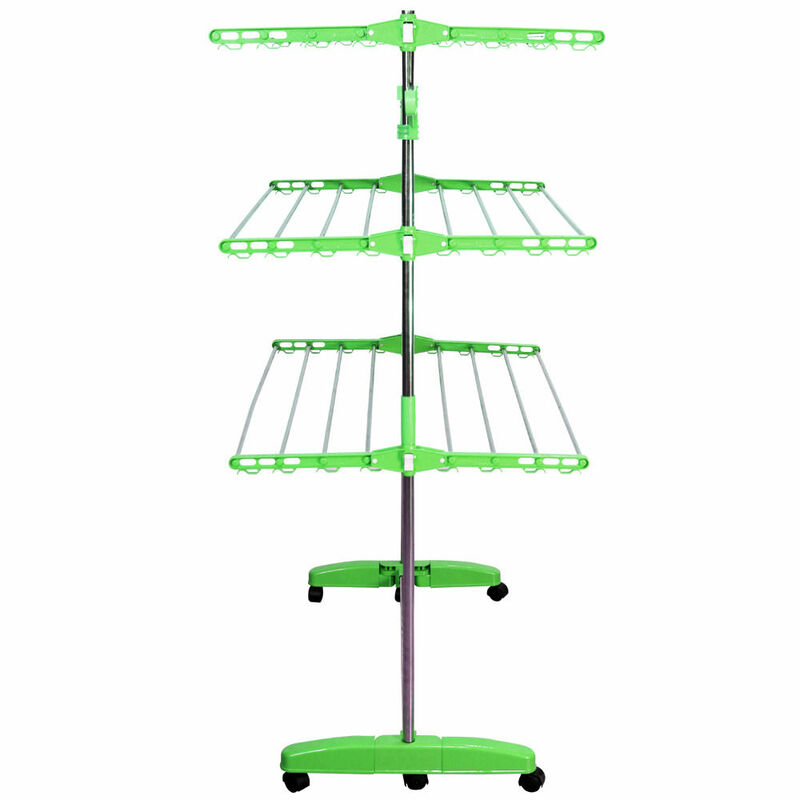 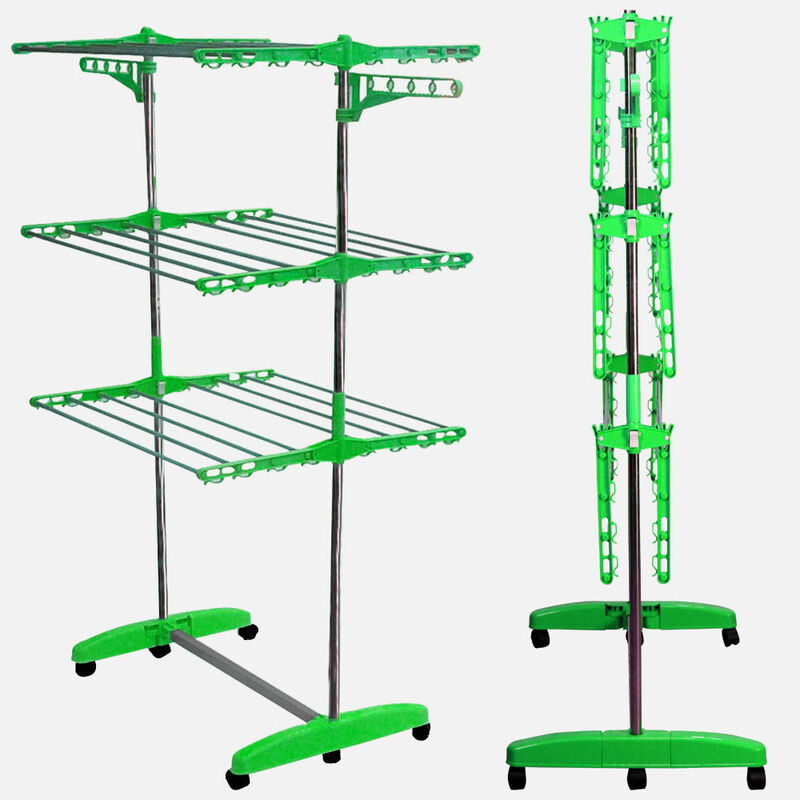 The Easy Cloth Drying Stand Is Made Up Of Ms Steel Coated Rods And Abs & Pp Plastic. 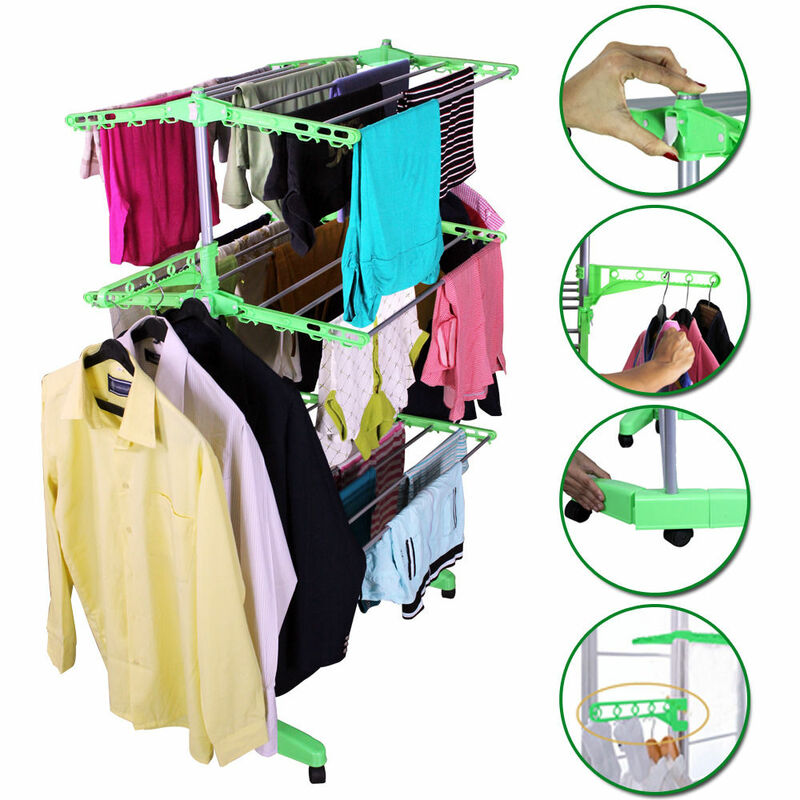 It Is Foldable And Has Caster Wheels So It Becomes More Convenient To Move From One Place To Another. 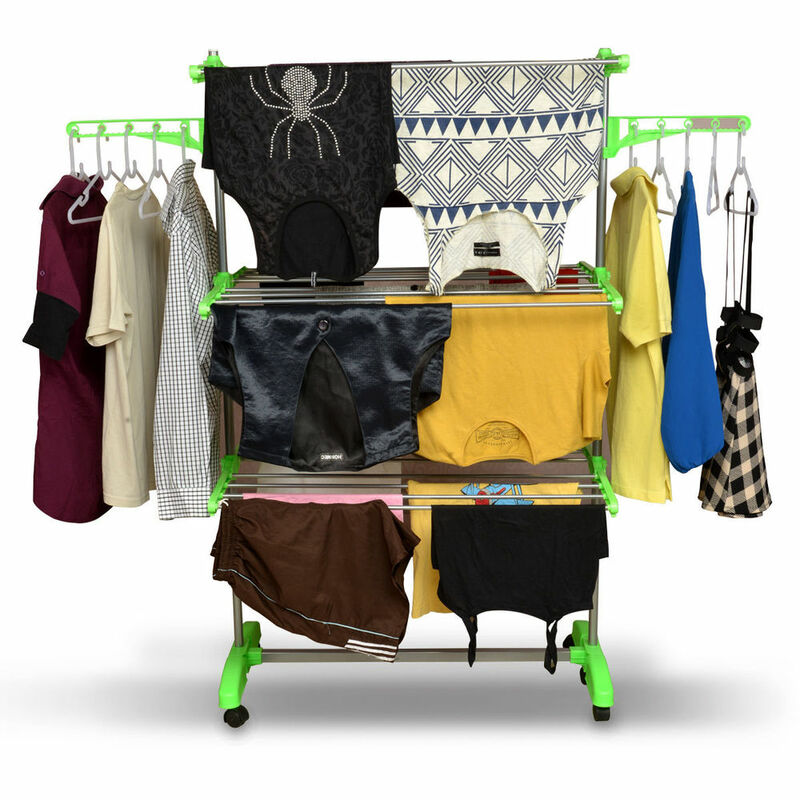 It Also Has Foldable Racks For Drying Heavy Clothes, Hooks Available For Hanging Hangers & Special Space For Small Clothes. 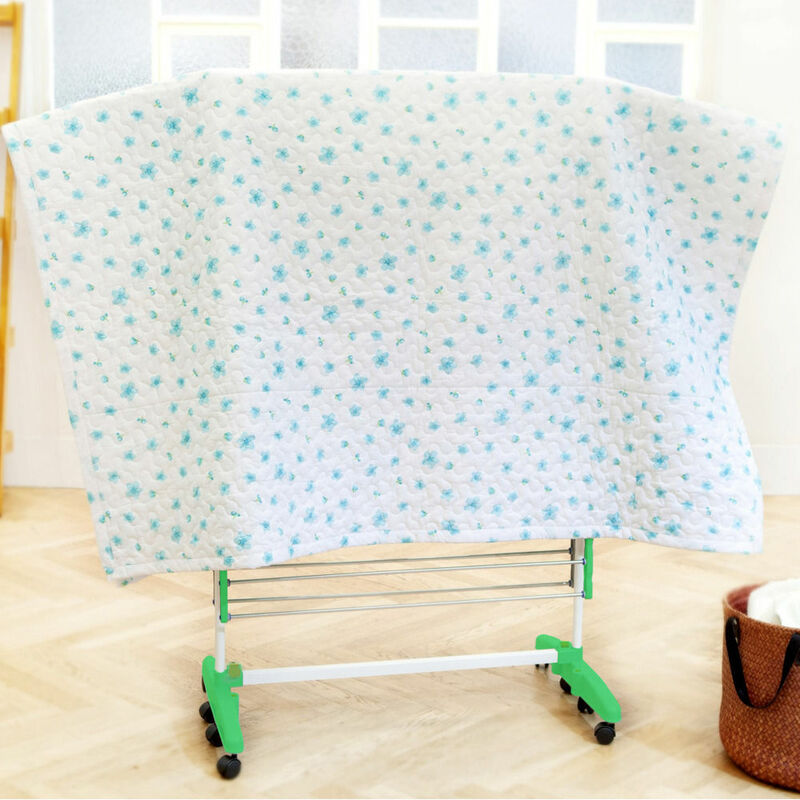 Since It Is Foldable You Can Store This Cloth Drying Stand Anywhere. 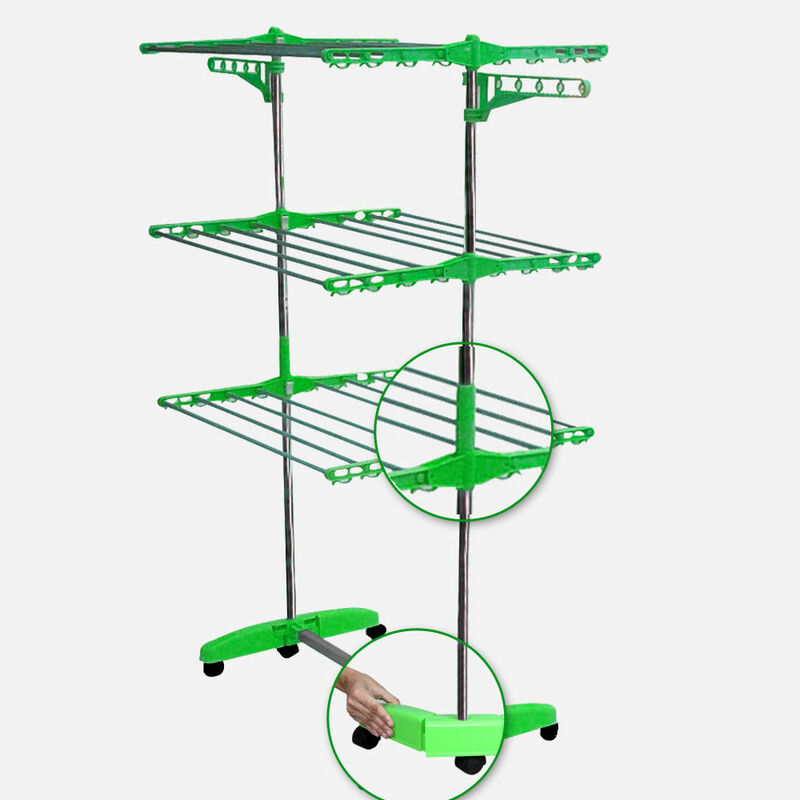 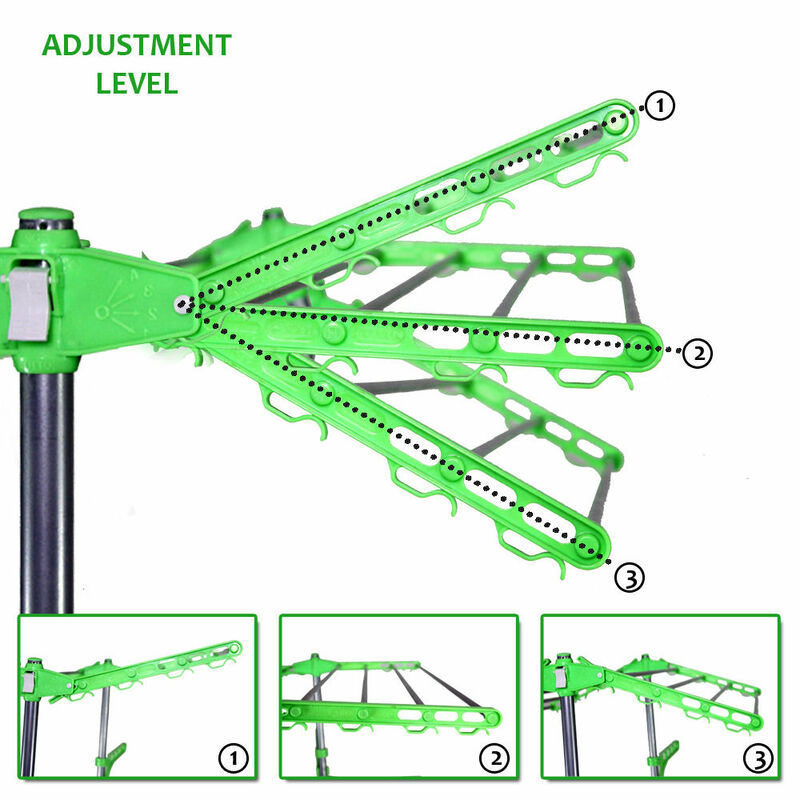 Fully Adjustable Shelf Height Which Enables It To Use The Vertical Space In A Balcony Or A Room Rather Than Expand The Drying Space Horizontally.